To make obtain your Light Rigid Licence easier i strongly suggest you read the RMS books below. Competency Based Assessment (CBA) is a process that enables the learner to provide evidence of progressively achieving skills specified by the Roads and Maritime Services (NSW) during the training process, and then to undertake a Final Competency Assessment on the open road using a Roads and Maritime Services prescribed test route. Successful completion of this unit of competency is based on the assessment of your demonstrated competence when driving plus extra assessments to fully cover the criteria where the unit requirements exceed those of the Licencing Authority. The licencing examination at the completion of the training in this unit of competency will be undertaken as a Final Competency Assessment (FCA). This will be conducted by our Roads and Maritime Services assessor, or a Roads and Maritime Services auditor. Your results will be reported as Competent, or Not Yet Competent, and you will be licenced accordingly. Central Coast Driver Training is not a Registered Training Organisation(RTO) as we are a smaller, family owned business. We do, however, have a working partnership with a Dare Rider Education who are a Registered Training Organisation. Dare Rider Education help us stay up to date with changes in the industry and make sure our courses are compliant. This licence course has been approved by the Roads and Maritime Services(RMS) of NSW. Drivers are trained and assessed against the RMS Competency Standards by Liam Green, who is an Accredited Assessor. Reversing manoeuvres, and other driving skills to prepare for assessment. The instructor, who cannot complete the final Competency Assessment part as of the 1st September 2015, will be an accredited instructor with the RMS supplied by Central Coast Driver Training and will have a certificate 4 in Training and Assessment. 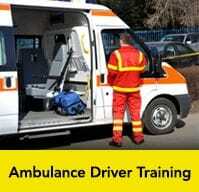 This course is designed for people with little experience at driving this type of vehicle. Learners must demonstrate that they have the underpinning skills and knowledge and can meet the performance criteria to be deemed competent. Commencing 1st September 2015, the RMS are introducing a split system for Training & Assessment. This means that the instructor who trains and assesses the criteria component cannot assess the Final Assessment (FCA) for the applicant. Therefore, as of 1st September 2015, another assessor will be brought in for the assessment on the FCA Component. Competencies 1-15 will be trained & assessed by Central Coast Driver Training. At the completion of the Assessment Criteria, the first assessor will issue you with a Certificate of Attendance. As of 1st July 2015, a video camera must be in operation inside the cabin of the heavy vehicle during the FCA/CT in order to capture and record the Final Competency on road component. The final competency assessment(FCA) is their final assessment which goes for a minimum of 45 minutes. The Final Competency cannot commence without the Applicant first attaining a Certificate of Attendance awarded by their first Assessor upon having successfully completed competencies 1-15 of the Assessment Criteria. The FCA, when conducted from 1st July 2015, will be filmed for auditing purposes. The video film will be sent to the RTO for auditing purposes and later sent to the Roads & Maritime Services, if required. The route will include a sufficient degree of gradient to allow for a comprehensive test of gear changing and the hill stop/start. Where this is not possible, alternative assessment methods will be used. An FCA Assessment will include road and traffic conditions which include medium to heavy traffic. The definition of medium to high traffic means that there is at least a 70 per cent chance of the vehicle interacting with another vehicle or road user. As of the 1st July 2015, the RMS have introduced the use of video cameras for the final assessment. The video cameras will record what is happening inside the cabin of the vehicle and outside with all sound and comments recorded. The camera is also fitted with GPS Tracking. Video footage has to be passed on to the Registered Training Organisation within 24 hours for auditing prior to being passed onto the RMS. If the applicant is deemed to be "not competent" during the assessment, the assessment will finish and training will commence until 4:00pm, working on the areas that the client was not yet satisfactory in. The applicant will then be required to re-book another day to be trained further or re-assessed at a further cost of $110 per hour. The re-assessment will be for a minimum of 4 hours. One attempt at final Competency Assessment once assessment criteria 1-15 has been marked competent. The cost does not include a second attempt fee for Final Competency if required.